Princess Kelechi Romeo Oghene is the founder and Chief Executive Officer, GMYT Foundation, an empowerment platform for underprivileged women to learn various aspects of fashion illustration, design, and manufacture through scholarships to her GMYT Fashion Academy. 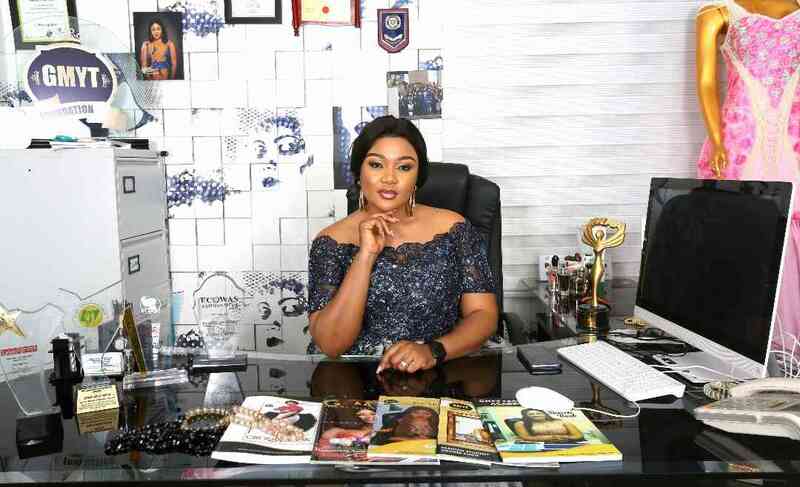 A fashion businesswoman and top model, Oghene who has won more than 15 awards, in this interview explains why she set up the foundation, among other issues. What informed your taking up fashion design as a career, and for establishing a foundation for women empowerment? Fashion designing has always been my point of admiration as far as my goal in life is concerned. I am interested in helping women to find themselves and their purpose in life. So I decided to use fashion to train them to start up their businesses and become empowered. I’ve trained over 300 women so far. GMYT Foundation not only desires to train and equip women with skills in fashion design but also seeks to provide business knowledge for its benefactors to enable them start and grow sustainable businesses and in turn serve as vehicles for empowerment and employment. Besides the scholarships, a subsidiary of the foundation; Learn to Earn Initiative, promises in-house employment opportunities to students who go through the training programme on the auspices of the foundation. While they undergo the training, students will have the opportunity to be on internship at the academy, get paid, and are likely to be retained as illustrators, designers, instructors or production. As a couture person, what is your assessment of fashion trends in Nigeria? Well, we are almost there but trust me; “almost there” isn’t there yet. There’s a lot to be done. However, I’m glad that our prints, styles and designs can now compete with the international designers out there. So that’s a huge achievement. Again, there’s still a lot to be done, especially in the areas of skills acquisition as unemployment solution in Nigeria. Hence, change, especially positive change begins from you and me. So, we all can contribute to creating solutions for youths, all and sundry to thrive and be empowered. And aside an academy, GMYT Foundation admits people, especially women, trains them on scholarship and put them in line for business. So this is one way I contribute to empowerment. What mentorship programmes do you have in place for graduates of GMYT Academy? We hold entrepreneurship sessions already with our students monthly. Through these sessions, our students are trained to understand the business aspect of fashion. We are working on partnering with other fashion schools abroad so that our graduands can do master classes overseas. The training is free and part of our social responsibility initiatives. There are no criteria that I put out when embarking on any humanitarian initiatives. The only thing I expect from prospective applicants is passion and dedication. I don’t discriminate, so I can take in anybody to train for free without expecting anything in return whatsoever. What do you think about investment funding from Bank of Industry for SMEs like yours to keep facility need of your academy afloat? Well, through GOD’S MIGHT (GMYT), I have been single-handedly funding and running my business without any support from any government. I also have my official partners; so I’m okay. Nonetheless, I am open to any funding or grants from any organisation. How do you blend the local and foreign fabrics for global competitiveness? Creativity makes it possible. As much as I work with African prints more often, I also use a lot of foreign fabrics as well like silk, duchess, satin, lycia, tulle, etc. Almost all my designs have a touch of any of the fabrics that was mentioned. By dint of that, my designs are not restricted but creatively diverse. What do you think is the future of the fashion industry, especially with moribund state of textile mills in the country? Well, let’s not completely believe that our textile has become rather obsolete. As a fashion designer, I know that the fashion industry in Nigeria is already competing and leading the frontline internationally. Though we need to work more on our textile sector, our designs are still recognised because we never go out of fabrics, no matter what is happening in the industry. The fashion trade is part of the creative industry. How can government be involved in its promotion to increase its IGR? The government can ensure that, first, the textile sector is reinvigorated and re-organised. Secondly, they can also see to it that more fashion schools in Nigeria are sponsored and equally ensure that they are fully equipped with the right tools to create more fashion designers. This will not only increase the IGR but also bring about more employment opportunities. A lot of young graduates have the notion that it must be white-collar jobs, or nothing. What advice do you have for them? what I know how to do best and it’s the means I have to empower my fellow women too. And together, we can change the world. And this is my main goal of establishing the foundation: to provide scholarships for women to the academy to learn the business of fashion design. Tell us about the fashion expo and runway? Our fashion shows are wired to celebrate and recognise our students through awards and certification, and also showcase their amazing collection to potential clients. Our students get to launch their brands officially at our events and they also get to network and build business relationships. What do you think about Nigerian fashion models? Our fashion models are amazing. Without them, our designs can’t be showcased. Mannequins (a dummy used to display clothes in a shop window) can’t strut on the runway, you know. On a lighter note, how has God factor played out in the brand, God’s Might (GMYT)? God Almighty has been my rock, my strength and my confidence. He has always stood by me from the seeding to the sprouting. So he owes the honour and praise.